With a fun studded wrist strap and part of the NEO for Selena Gomez Collection this girls’ clutch bag is ready to go wherever you go. 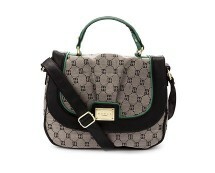 Features chic metal hardware details and soft satin lining. 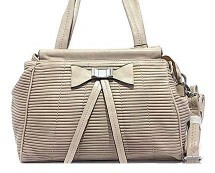 This beautiful shopper style shoulder bag is super trendy right now. 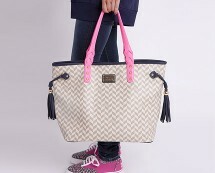 Make a statement with this oversized Chevron beige bag featuring pink twin handles and side tassels.